Why are there so many articles with the angle of teacher bashing or teacher whining? If anyone ever entered this profession with the idea that it was easy, I think that myth was dispelled quite quickly within their first year in a classroom. Diane Ravitch reports that about 40% of teachers leave within the first five years of starting their job. Teaching is hard. Teaching is demanding. Teaching is frustrating. Teaching is addicting. Teaching is enlightening. Teaching is exhilarating. Teaching is rewarding. I won’t begin to go into all the joys and heartaches that come with the territory. It truly is a paradox. So when I read these articles about teachers who have given up I don’t so much worry about them as much as the teacher who is hanging in there and might be on the verge of giving up. The ex-teacher has chosen a solution to his or her woes. I worry about the teacher who feels isolated, stressed and exhausted. I worry about teachers who don’t believe they can be creative or have fun anymore. I worry about their students. But worry isn’t enough. Action is needed. A shoulder is needed. Be a shoulder to cry on when the stress of the day becomes too much. We all have those days when a good cry cleanses the soul. There is research out there to support the health benefits of crying. Help a colleague relieve some stress with a metaphorical or literal shoulder to cry on. Be a shoulder to lean on when you see a colleague that could use some support. Offer encouragement, ideas, alternative perspectives, or a good ear. Knowing you are not alone, that your experiences and reactions are normal, that there are others who are there for you can make an incredible difference in morale, in climate and in the emotional health of a school. Be a shoulder to stand on. Be the change you want to see in your world. Be a role model to others for collaboration, creativity and collegiality. Be an example to others on how to not only offer support, but ASK for support. Show them that good teachers don’t just grin and bear it – they problem solve, they share, they cooperate. Be a mentor to someone and share your experience and positive attitude. It’s the start of a new year. Look around your school community. Does it need more shoulders? Well, square your shoulders and be that shoulder! The next thing you know you’ll be standing shoulder to shoulder with other “shoulders”. You might knock some chips off some shoulders, you might experience less cold shoulders, you might need to look less over your shoulder, you might lift a weight off some shoulders, and you’ll stand head and shoulders above those who merely complain. Let’s put our shoulders to the wheel and we can create the climate we desire, the climate we deserve! I am trying to keep up with the students in Augusta reading titles on the Maine Student Book Award project. There are 40 books including nonfiction, poetry, graphic novels and chapter books. We are involved in contests to see who can read the most or all and vote for our favorite by April 1st. 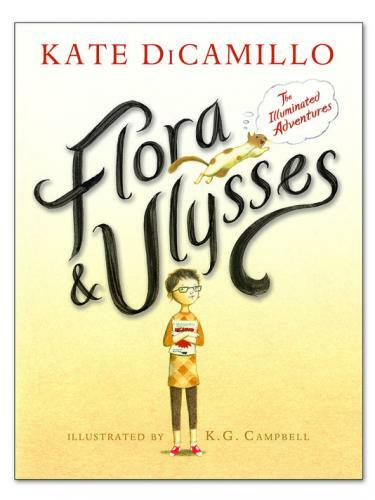 Taking a break from the list I had to indulge in Kate DiCamillo’s latest and I wasn’t disappointed. 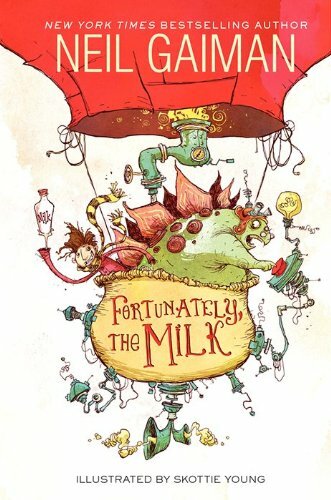 Her fearless use of delicious vocabulary and her whimsical tale of some well-crafted characters make this a new favorite. I was also excited to get my hands on Neil Gaimond’s new story, which was quite a departure the other stories I’ve read from him. A totally ridiculous plot line should pull in the most reluctant of readers. HAVE A GREAT WEEK and STAY WARM wherever you are!